Fred. Olsen Cruise Lines has announced that their 929-guest ship Braemar will be based in Southampton for a six-month cruise season, from May to November in 2016, and that it will also offer a series of river cruises. 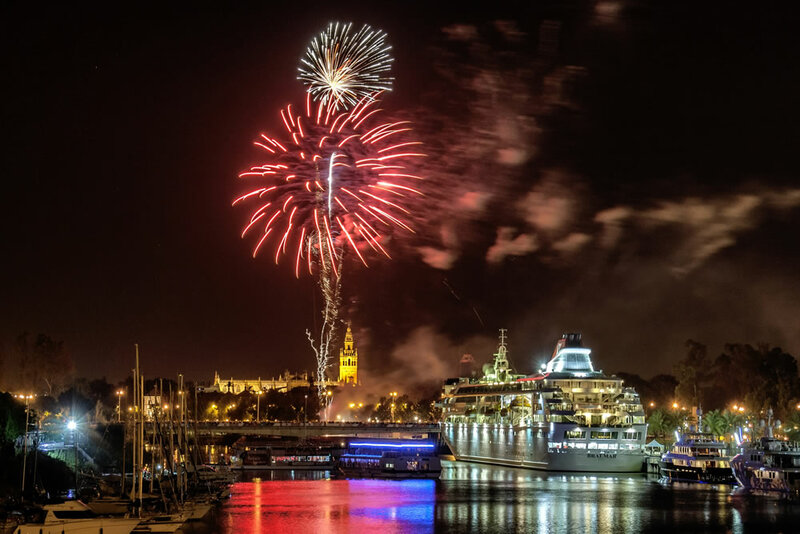 Throughout 2016 Braemar is scheduled to call into European destinations including Seville, Spain, and Rouen, France, where the ship can cruise right into the heart of destinations and along stunning rivers and waterways thanks to its shorter and shallower draft. The 10-night German Waterways cruise will depart Southampton on 26 June and head to Flensburg. Braemar will cruise past Germany’s only fjord, before docking close to the heart of this bustling and vibrant city. Braemar will then move onwards to Travemünde, for trips into Lübeck. After cruising along the Trave River and passing through the Kiel Canal, guests will arrive in Hamburg, for two nights. Next, Braemar will cruise along the River Elbe and the River Weser, before arriving in Bremen in Germany, famous for its beer, breweries and traditional pubs. The ship will then return back to the port of Southampton. Prices start from £1,199 per person based on two adults sharing a twin, inside cabin. The 14-night Rivers of Spain & France cruise will depart Southampton on 16 July, cruise along the Guadalquivir River and head into the very heart of Seville in Spain, for an overnight stay. Next, guests will head to Lisbon, Portugal, before moving onto Avilés, Spain. Braemar will then cruise along the Gironde and Garonne Rivers, before arriving in Bordeaux, in France, for another overnight stay. A cruise along the River Seine will transport guests to Rouen, one of France’s most historic cities for another overnight stay. From here a short sailing across the English Channel will see guests head back to Southampton. Prices start from £1,599 per person based on two adults sharing a twin, inside cabin.